Welcome to the fourth in my Alaskan Adventures series! 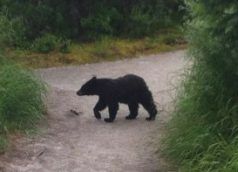 Previously, I have explored some of my newly found adventures whether the Mendenhall Glacier to hiking many of the hundreds of miles of trails just around Juneau to last week’s July Fourth parade and fireworks. This post I gear towards Alaskan wildlife. I have to say. Travel stories, insights, and tips for adventure and cultural travel seekers written by a sassy, world traveler nicknamed Ms Traveling Pants. Has Seattle Flown Under Your Radar? Here Are Five Reasons You Need to Visit!